She's all dressed up for Trick-or-Treats as you can see! for entering your sweet pup. 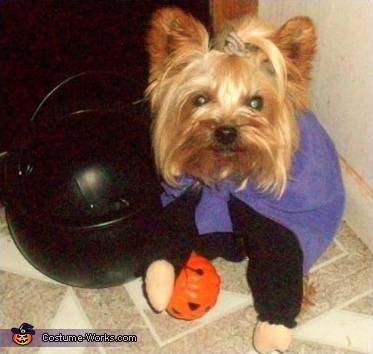 This homemade costume for pets entered our 2008 Halloween Costume Contest.